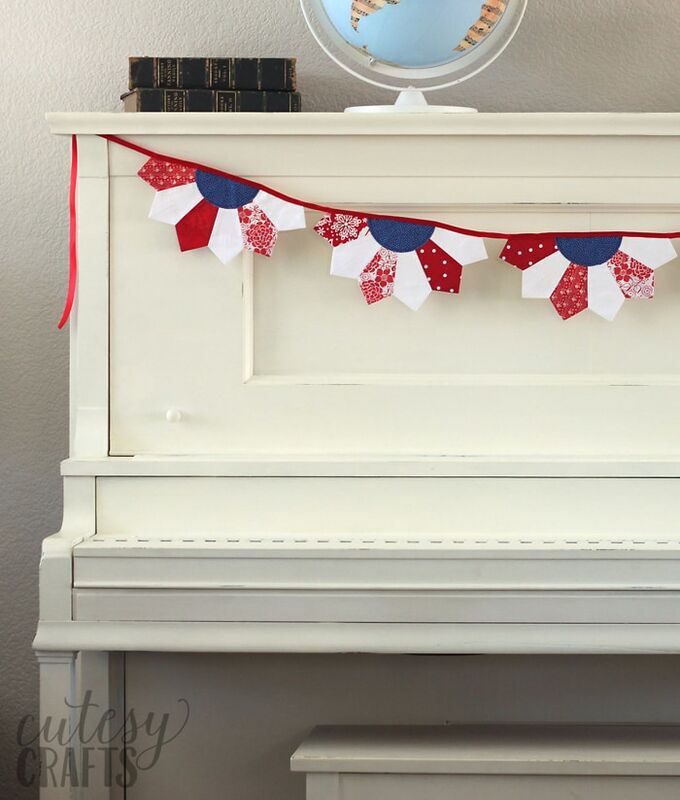 In keeping with my promise to make more 4th of July decor for the house, I created a pretty 4th of July banner to hang across my piano. 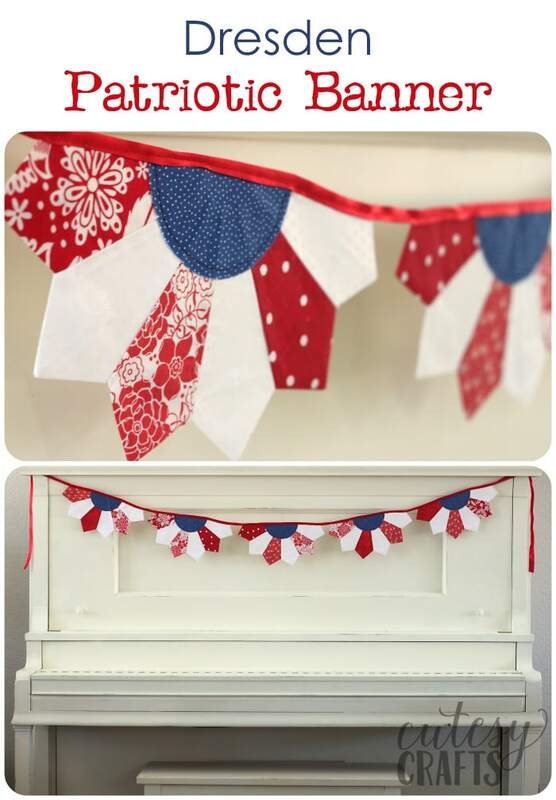 It’s a really fun way to display different fabrics and show off your sewing skills. I made it using a traditional quilt block pattern called a Dresden Plate. 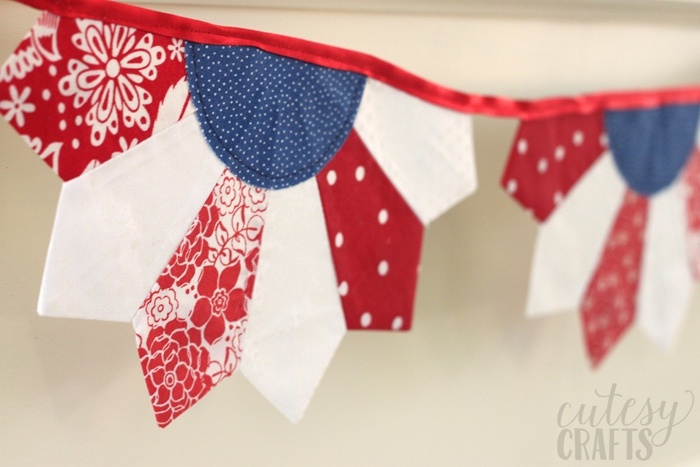 Normally, you would create a whole circle shape, but I made the banner using just half of a Dresden Plate. You’ll want to make only half of a Dresden Plate, with six wedges. 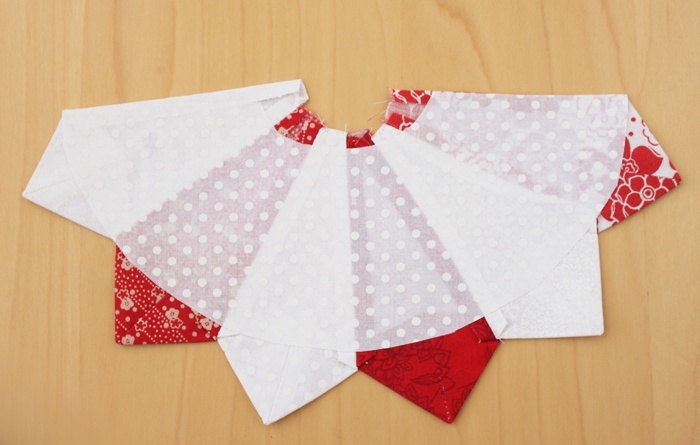 Follow instructions to make the wedges with five-inch wide strips of fabric and a point wedge end style. I made a total of five half-Dresdens, so I cut 15 white wedges and 15 red wedges. 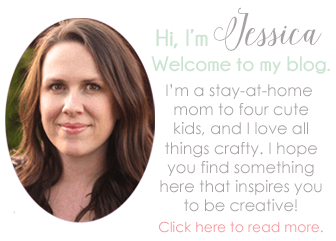 You can make more or less depending on how long you want your banner to be. Since we aren’t going to be sewing the Dresden Plate onto a quilt, we need to hide the seams on the back. 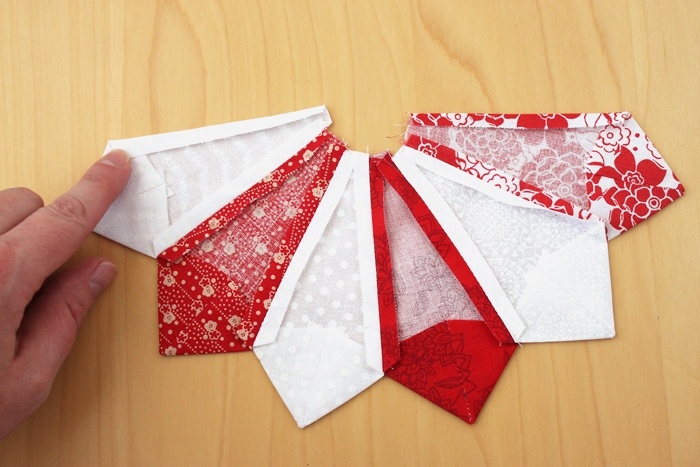 First, fold the top raw edges down 1/4-inch and press . 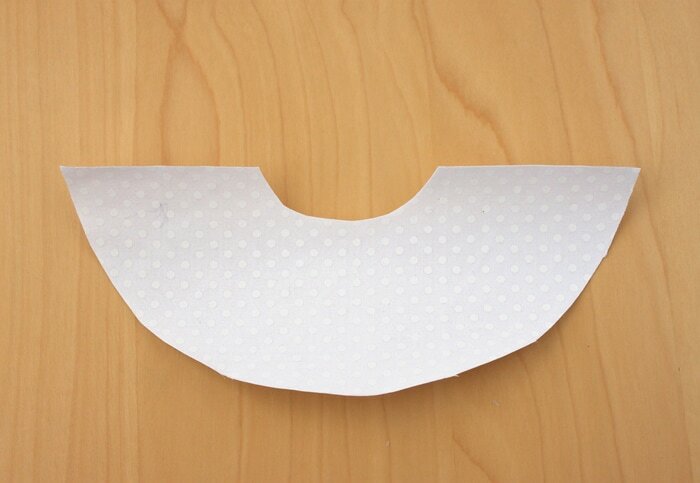 Trace the arch template that I have provided onto the paper side of your interfacing. 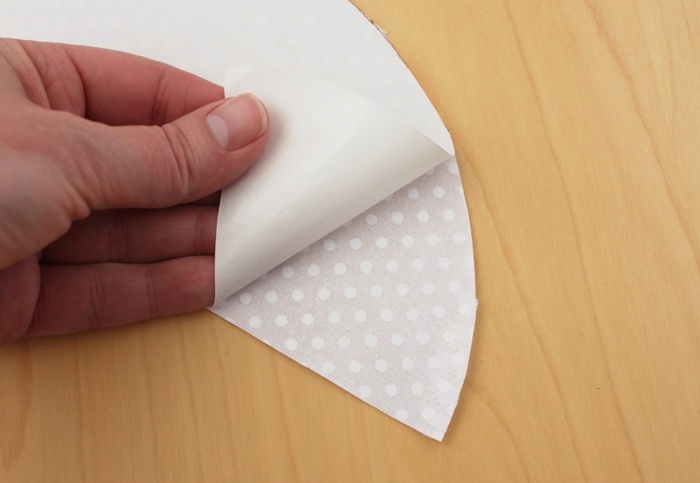 Iron it onto the wrong side of a piece of white fabric, and cut out the shape. 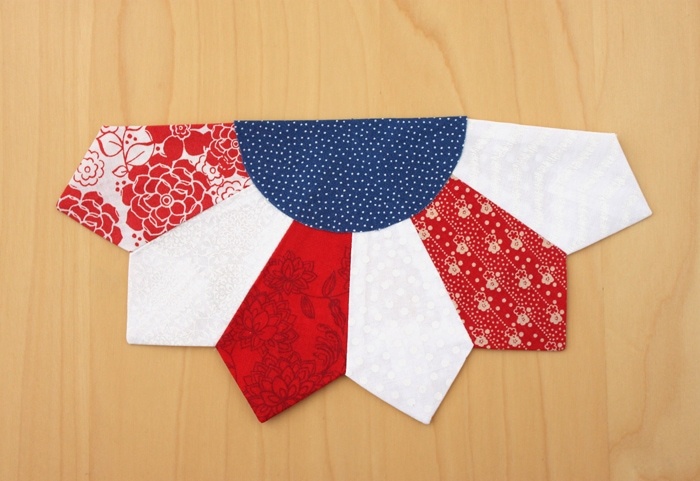 Place the arch, interfacing side down, over the back of the Dresden Plate. Iron it down. 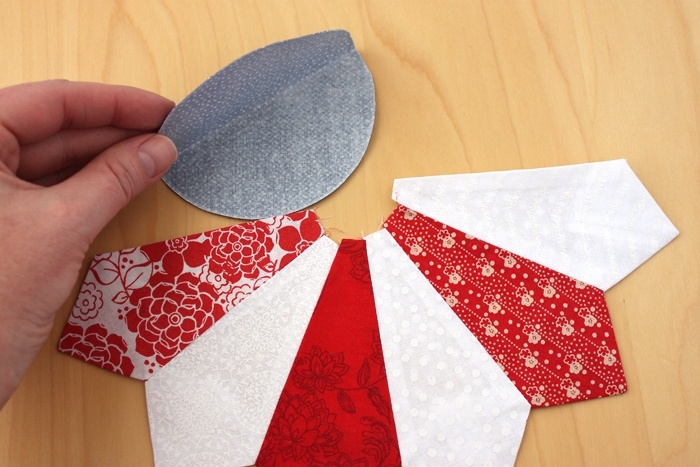 Follow the same process with the interfacing and cut a circle out of the blue fabric. Fold it in half, slide it over the top of the Dresden, and iron it on. Top stitch around the edge of the circle to secure it. 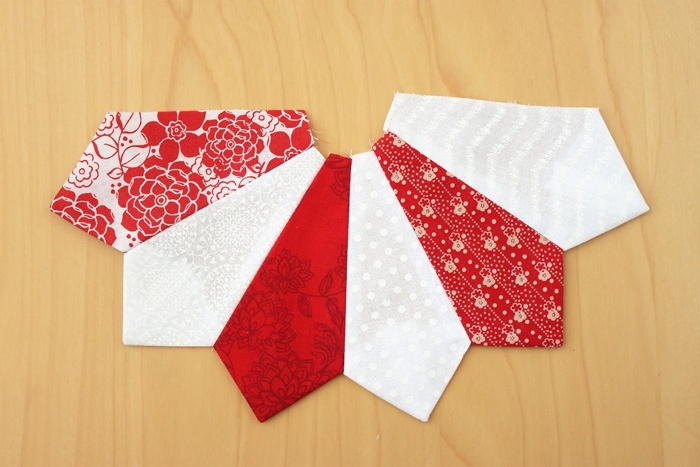 Finally, you’ll want to sew all of your half Dresden Plates onto some bias tape or ribbon. I folded 5/8-inch ribbon in half and ironed it to make a crease. I sandwiched the top of the Dresdens in between the ribbon and sewed it shut. I spaced each Dresden Plate 1-1/2 inches apart. 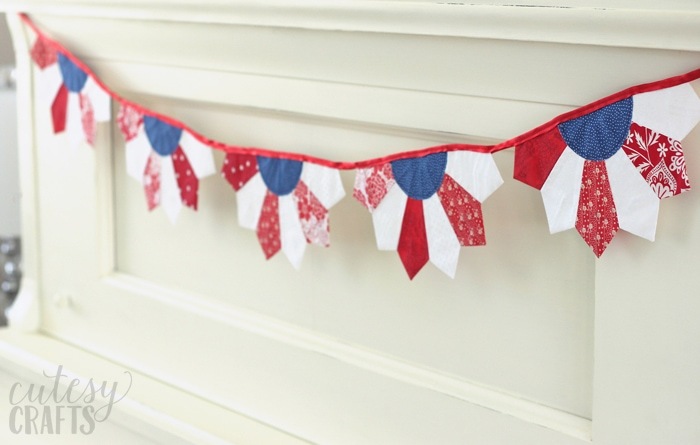 The 4th of July banner turned out so beautiful, that I might just need to make some for other holidays. This is really pretty and unique! Love the combo of different fabrics. Visiting from BFF Party.